Get the best finds and gifts for every book lover on your list at the Friends of the Vancouver Public Library’s Winter Used Book Sale this May! 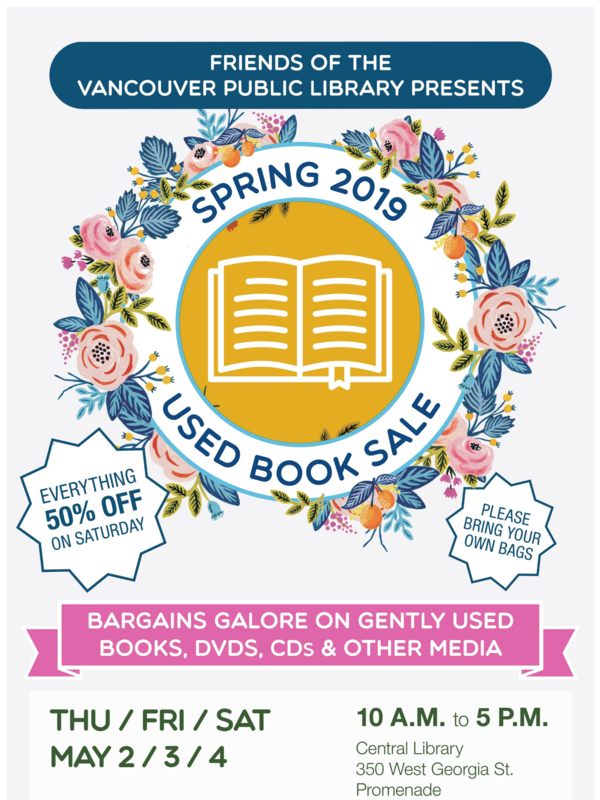 The sale will be on Thursday, Friday, and Saturday, May 2 to 4 from 10am – 5pm, at the Central Library, 350 W. Georgia. Prices start at just 50 cents for paperbacks and $2.00 for hardcovers. Non-fiction prices start at 50 cents. Everything remaining will be half price on Saturday! Please bring your own bags to take your new books home.